A new Assistant Director is assigned to oversee LA operations for NCIS, the team begins to wonder what his intentions really are. 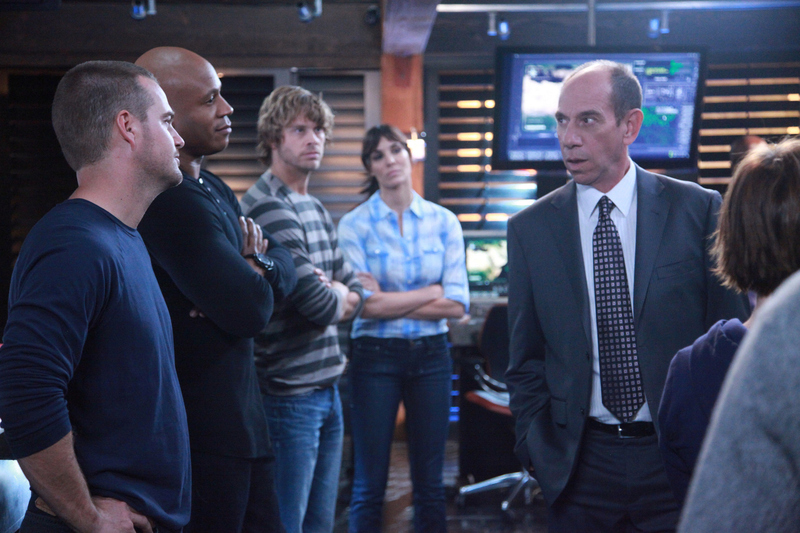 (L-R) Chris O’Donnell as Special Agent G. Gallen, LL COOL J as Special Agent Sam Hanna, Eric Christian Olsen as Special Agent Marty Deeks, Daniela Ruah as Special Agent Kensi Blye and Guest star Miguel Ferrer as NCIS Assistant Director Owen Granger. Photo: Richard Cartwright/ CBS ©2011 CBS Broadcasting, Inc. All Rights Reserved.